Another month has passed, and as fans are still buzzing about Barcelona’s 5-0 win over Real this Monday, the turn of the month is a good chance to see who’s ruling the scoring charts in England, Germany, Spain, France and Italy. Dimitar Berbatov didn’t score a goal since his fiery start to the season for over two months, last time finding the net against Liverpool in United’s dramatic 3-2 win with the Bulgarian scoring a hat trick. 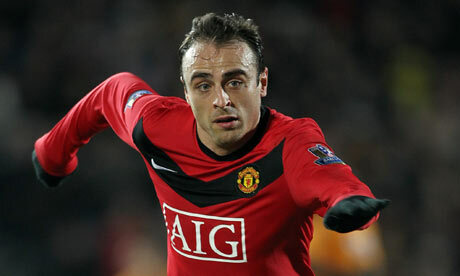 September blew by and Berbatov entered his usual funk, drawing the usual criticism. Saturday’s romp against Blackburn, with Berbatov scoring 5(!!) goals, the fourth player in premiership history and the first foreign one to reach that mark. Chasing him are Carlos Tevez and Andrew Carrol, each with 9 goals. Carrol is in exceptional form, scoring 4 goals in November. Malouda and Kevin Nolan, who were joint top scorers with Tevez last month didn’t score in November. So he had another awful El Clasico. Still top of the scoring charts. November wasn’t too bright for Ronaldo, who only scored once during November’s league matches, although it was a hat trick. Now he might be injured and is in doubt for the game against Valencia, and it’s interesting how will he recover from the 5-0 humiliation at the Camp Nou along with his teammates. Chasing Ronaldo is none other than Lionel Messi with 13 goals, who had his scoring streak broken in the 5-0 win, but he came out of the match in quite a different mood than the Portuguese superstar. Fernando Llorente of Bilbao is third with 9 goals. Theofanis Gekas keeps bringing them in for Frankfurt, who won only one game during November (ranked 9th), while Gekas scored three goals, his last one coming last weekend in the 4-1 loss to Bayern Munich. He had a brace earlier last month in the win over Wolfsburg. Papiss Demba Cisse of Freiburg is two goals behind with 10, scoring twice during November. The next group of players, with nine goals, is more likely to produce to top scorer when the season is over – Mario Gomez, Edin Dzeko, Hugo Almeida and Srdjan Lakic. 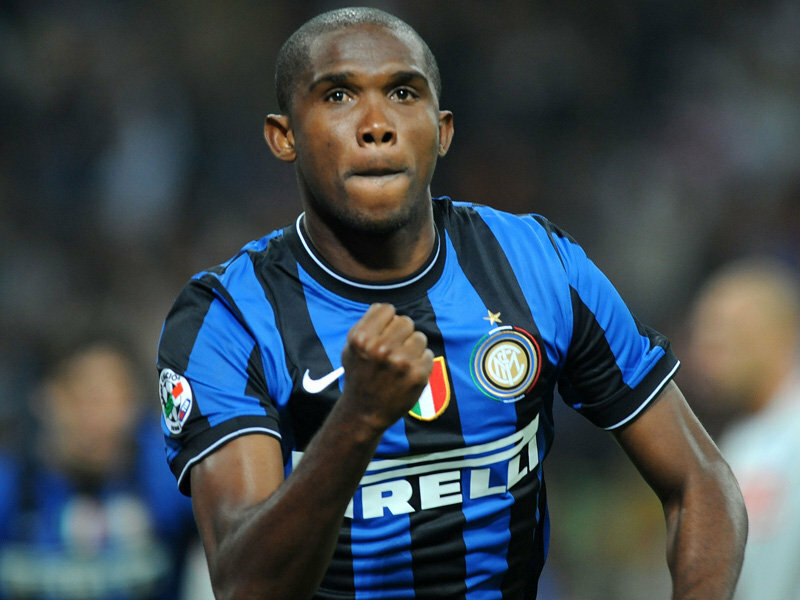 Inter struggled in November, getting their only win of the month without Eto’o last weekend, beating Parma. Eto’o has been the only player to improve his form under Benitez and scored twice in November, keeping the top spot in the scoring charts. 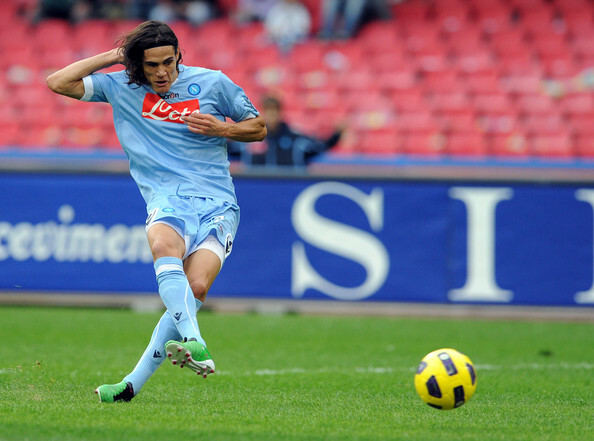 The Uruguayan international scored three times in November, including a brace against Parma as Napoli won three times during last month, hovering around 3-4th place, six points behind league leaders Milan. Antonio Di Natale is starting to hit for and is already with 8 goals, like Calgiari’s Alessandro Matri. Zlatan, Di Vaio and Pastore are with 7 so far. 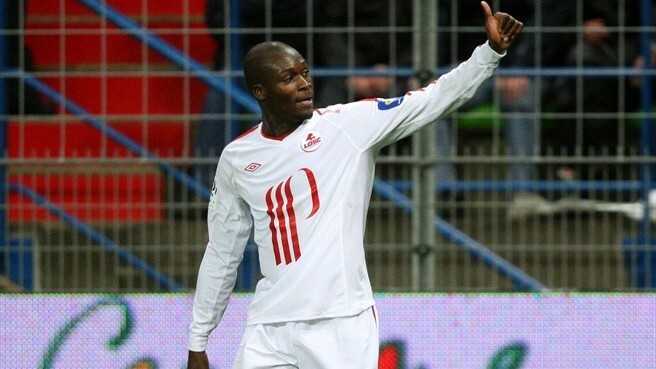 Lille are second in the tightest league in Europe, with Moussa Sow scoring one wonderful goal after another, netting five times during November, including a hat-trick against Caen. And speaking of Caen, who are ranked 18th, they have a talented scorer of their own, although it doesn’t really help them get wins. El Arabi scored three times during November, but the Moroccan international’s side hasn’t won since September. Dimitri Payet, who led the charts last month, hasn’t scored this month and is still with 8 goals. PSG’s Nene is also in the chasing group with 8.